US Star Song SSD 8050 (0 54438-8050-2 7) | D: none | P: EMI Mfg. AU Star Song SSD 8050 (0 54438-8050-2 7) | D: none | P: D.A.T.A. 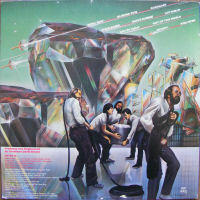 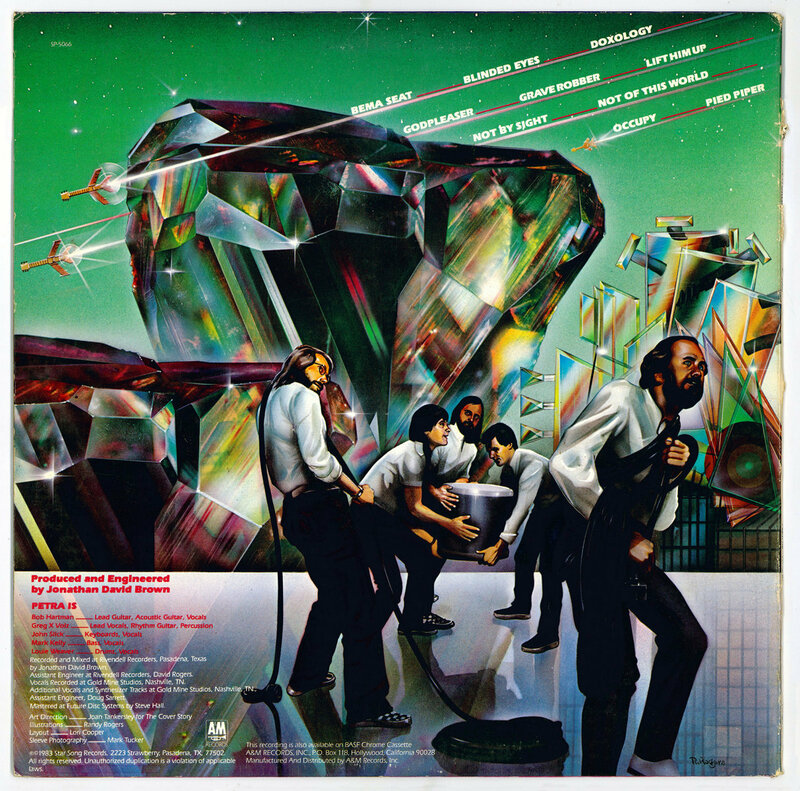 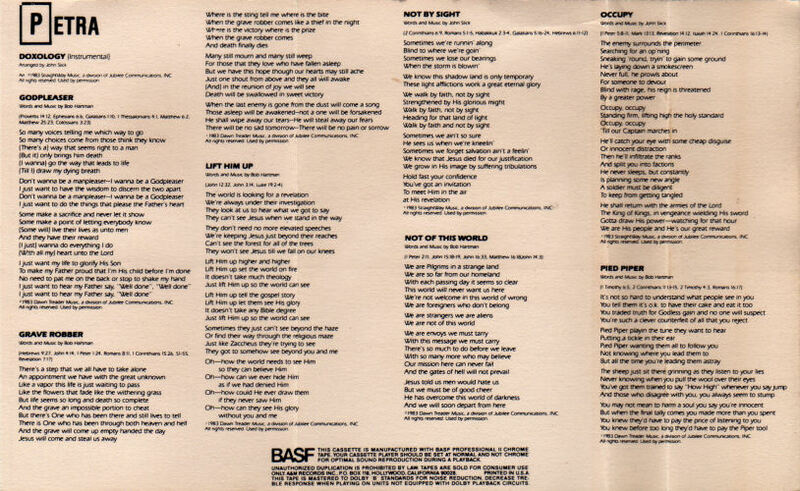 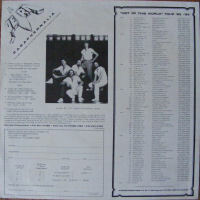 (p) © 1983 Star Song Records, 2223 Strawberry, Pasadena, TX 77502 | A&M Records, Inc., P.O. 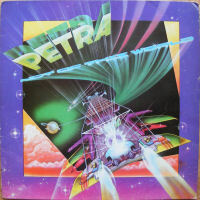 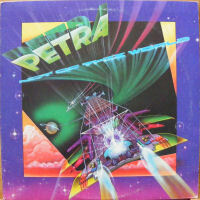 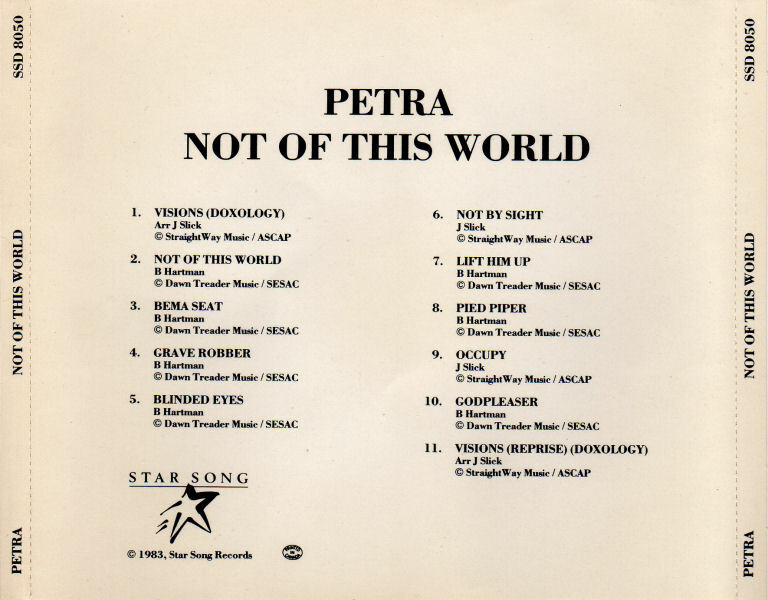 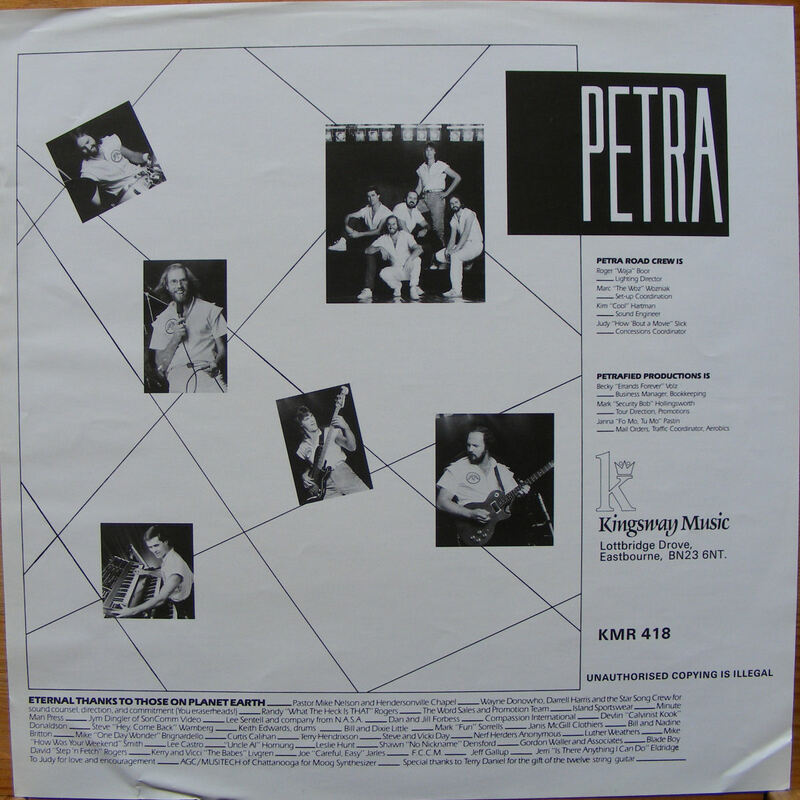 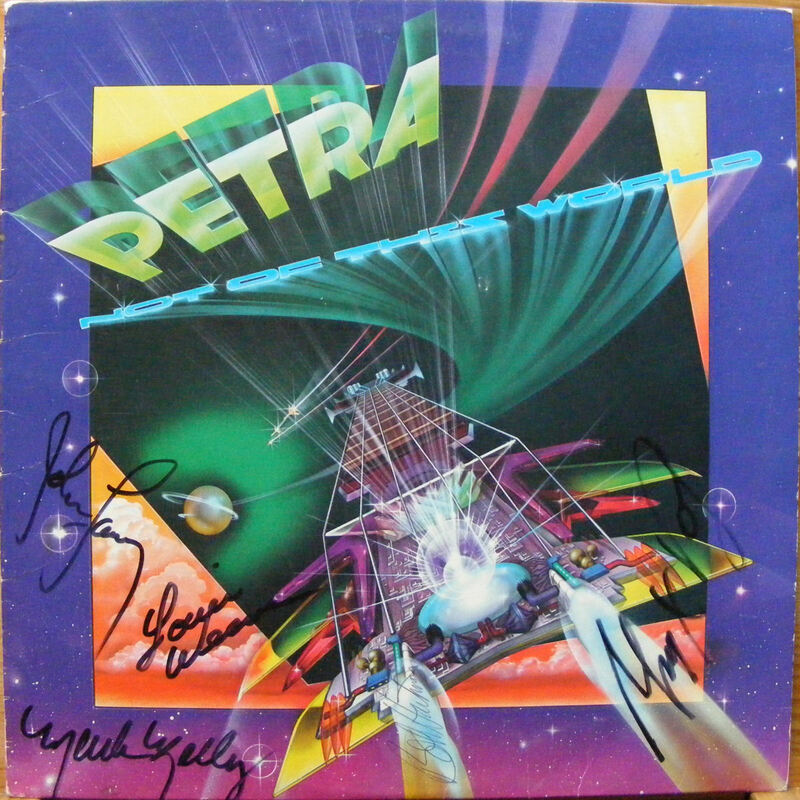 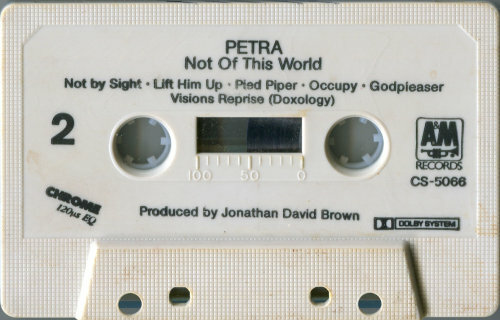 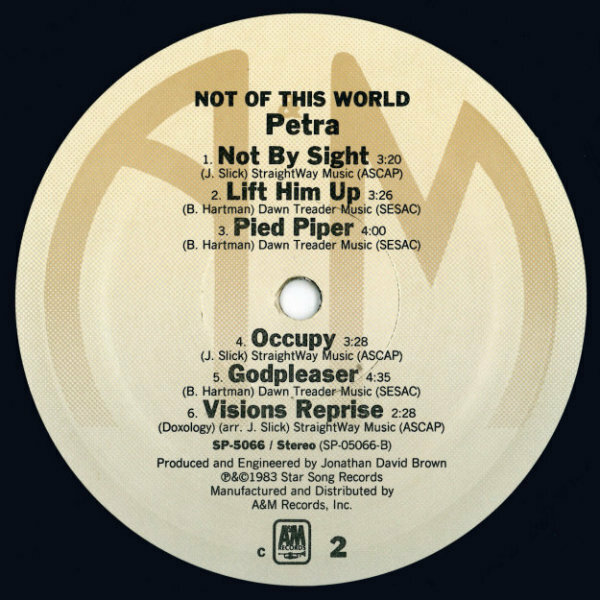 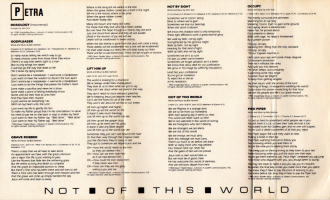 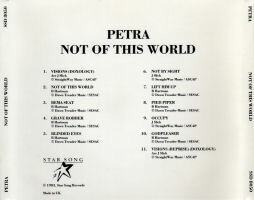 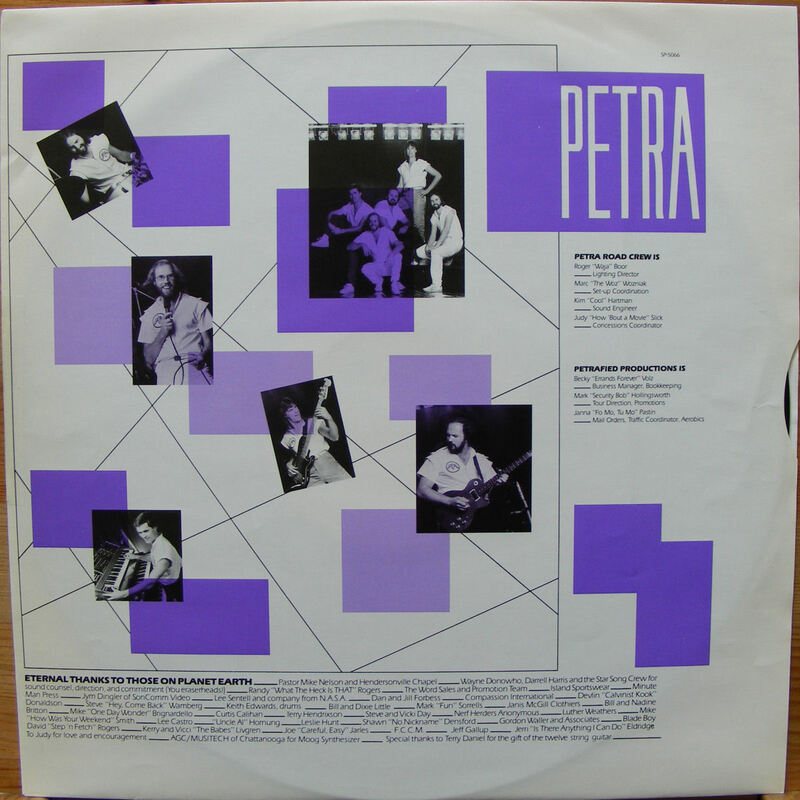 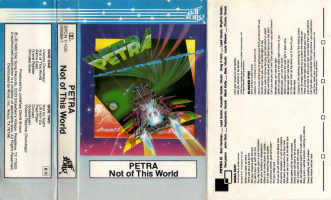 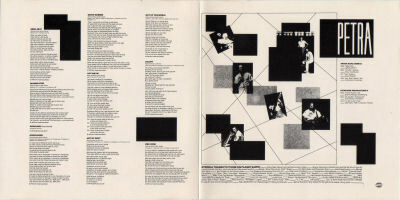 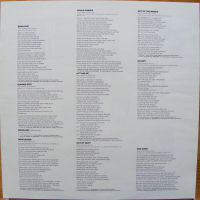 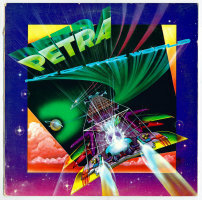 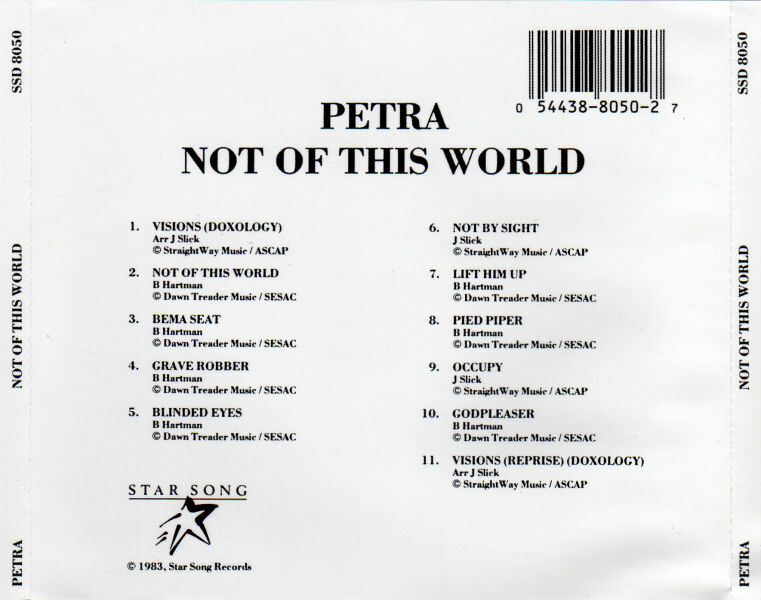 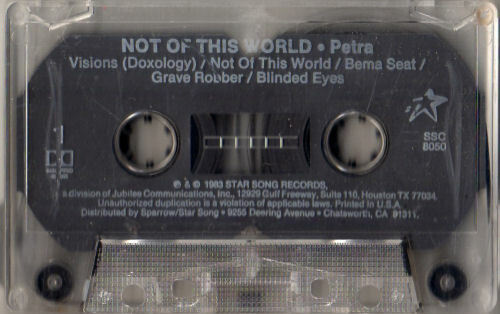 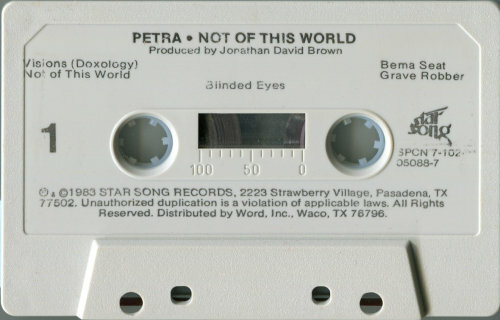 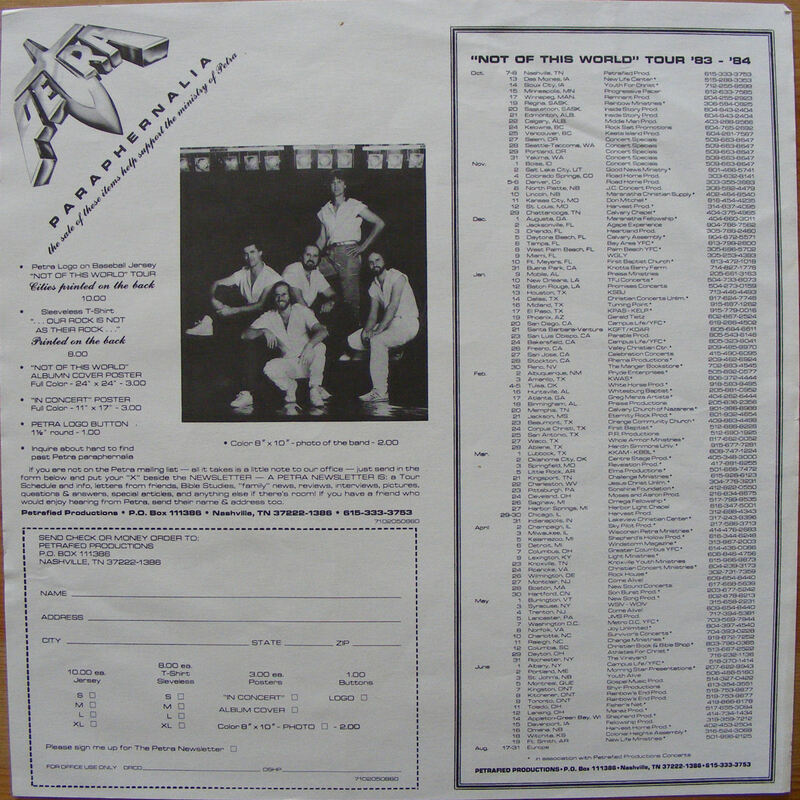 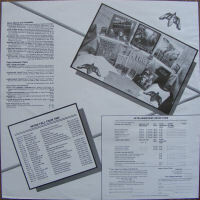 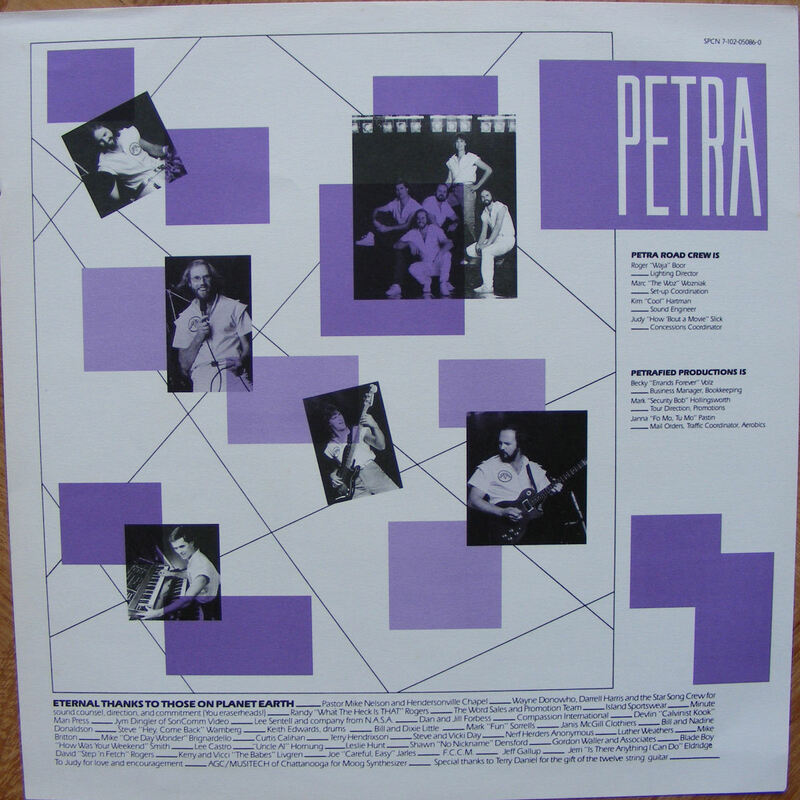 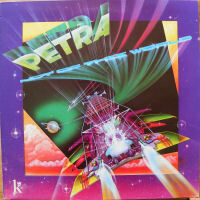 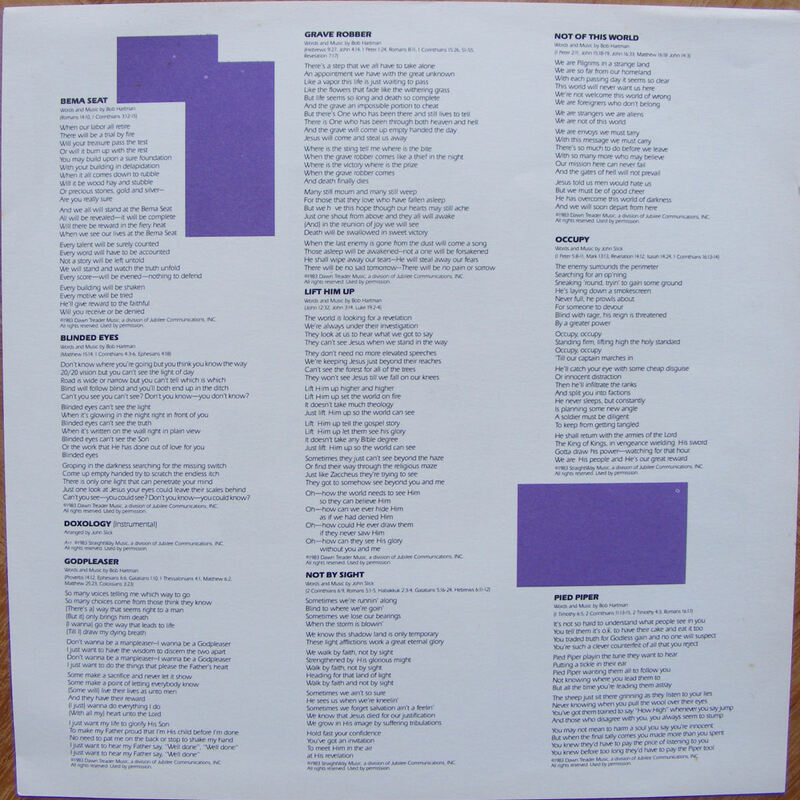 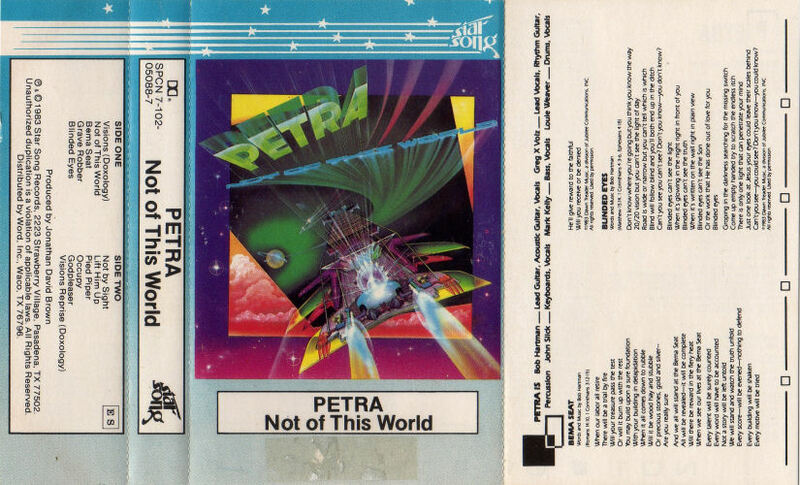 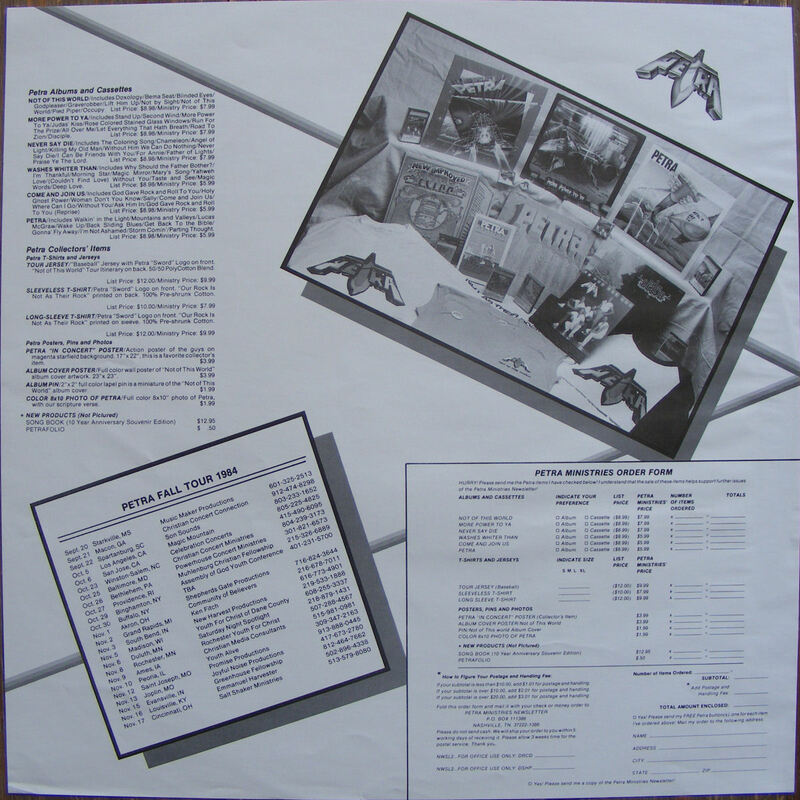 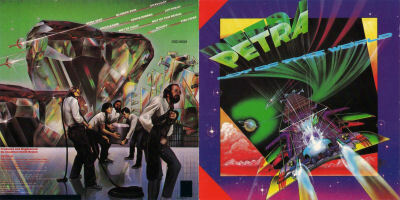 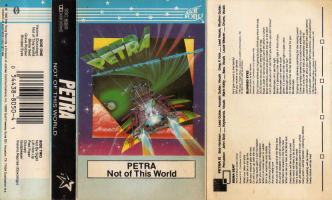 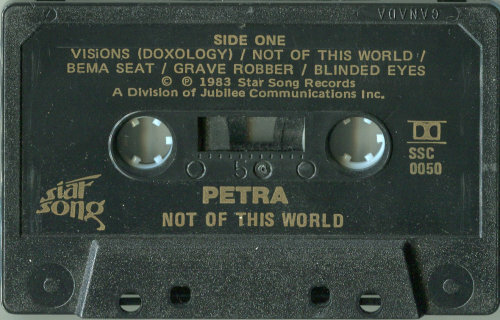 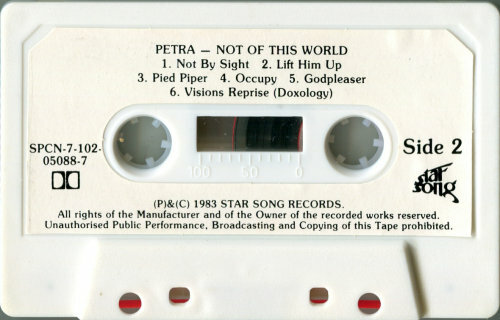 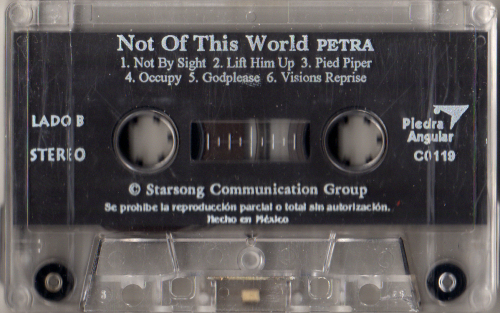 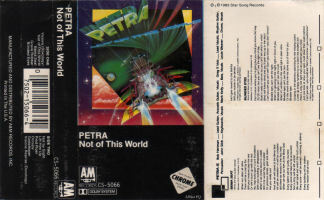 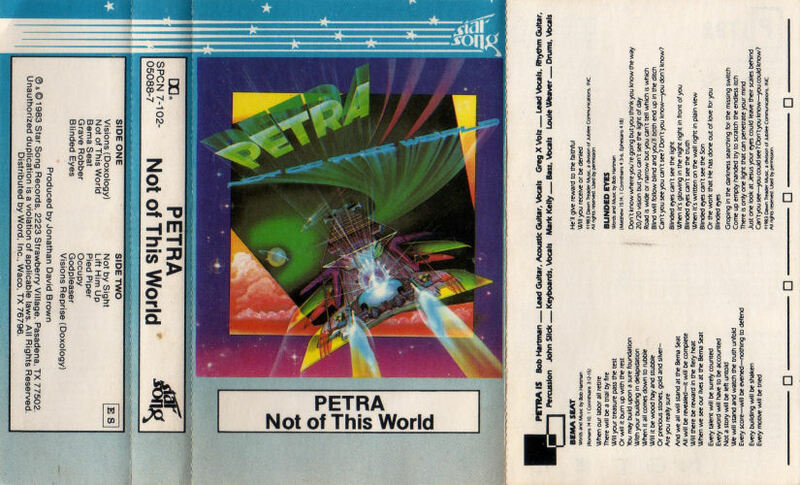 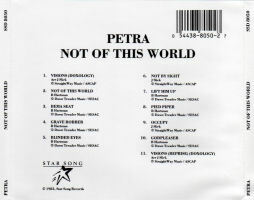 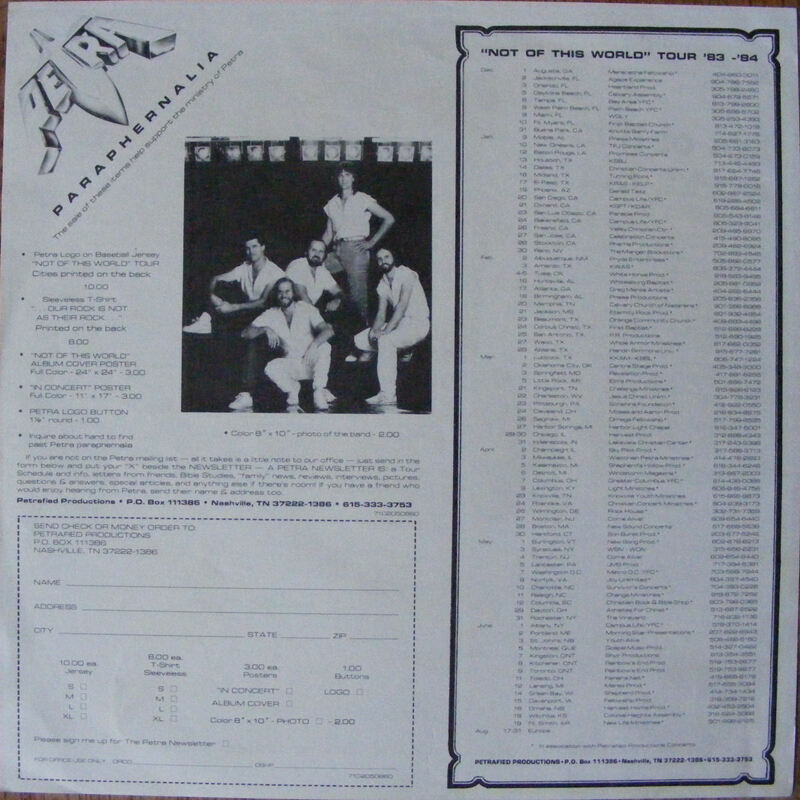 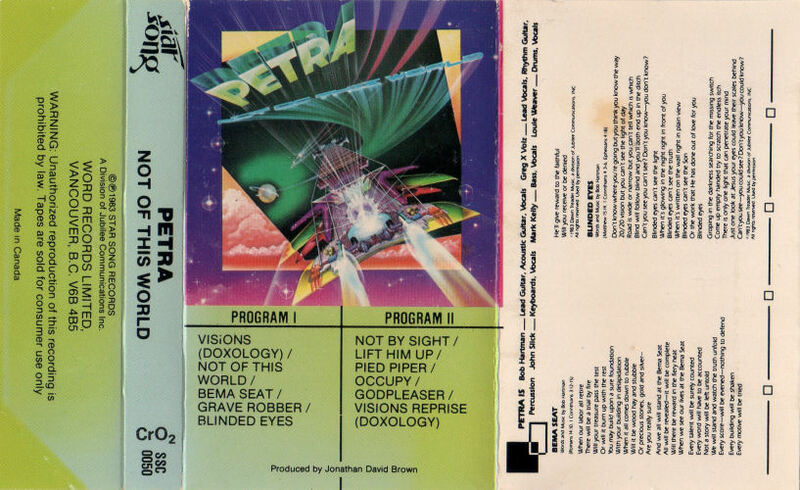 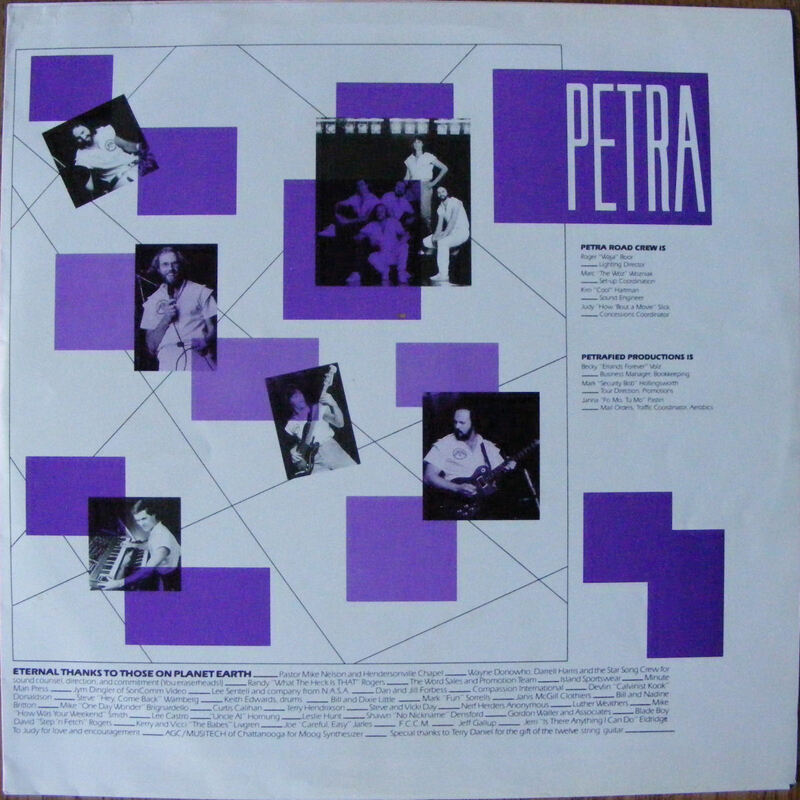 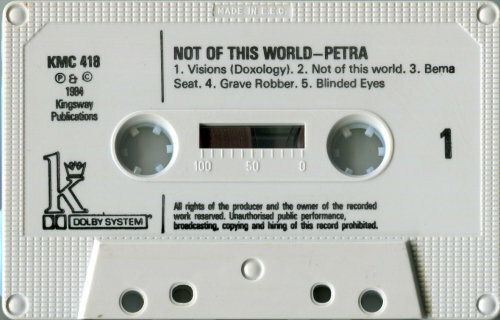 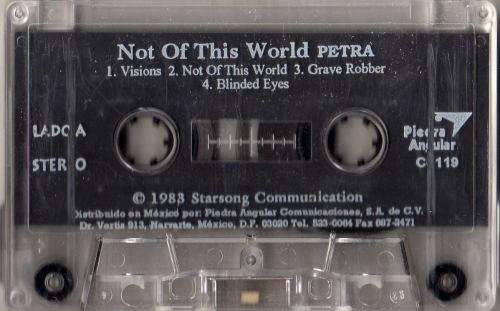 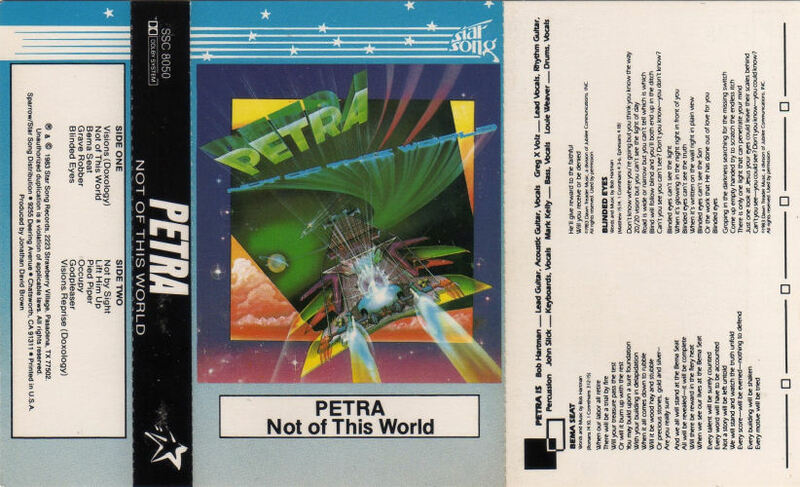 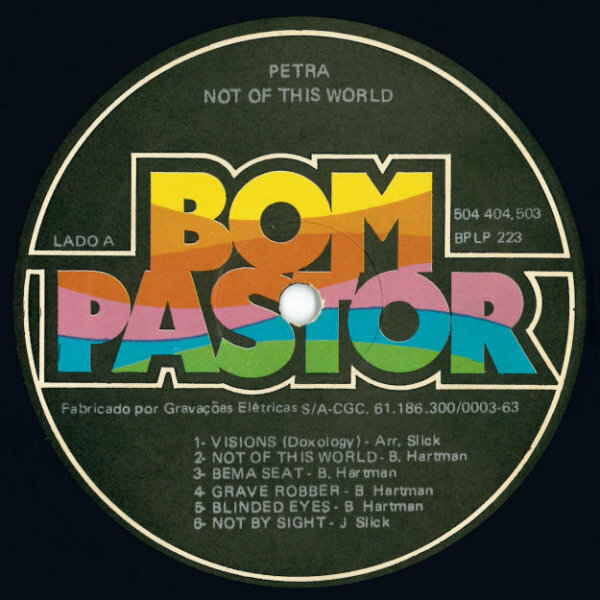 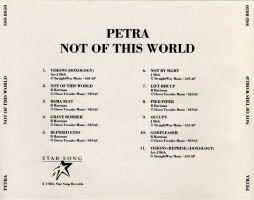 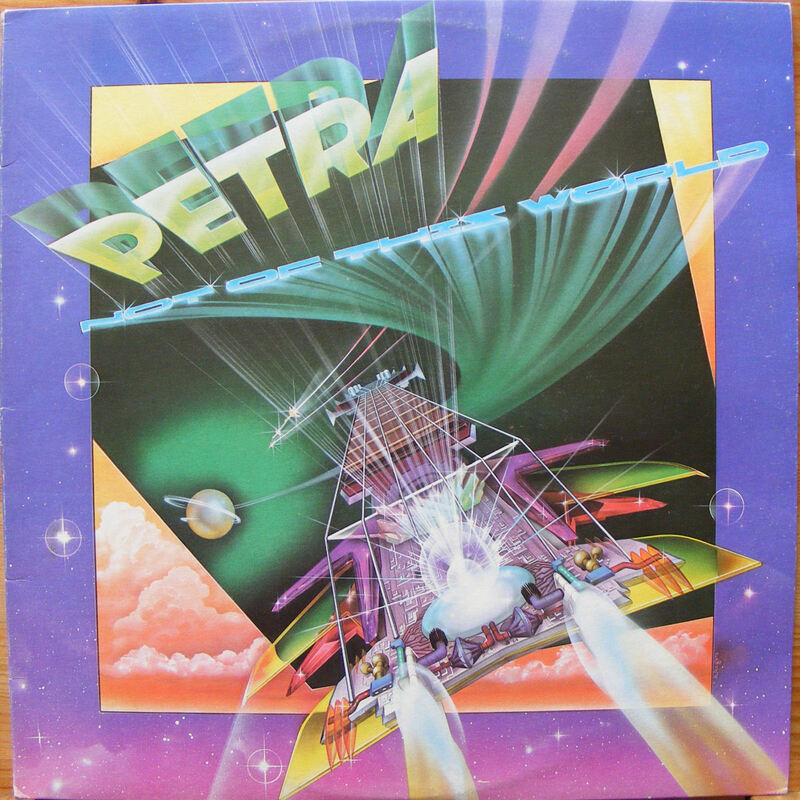 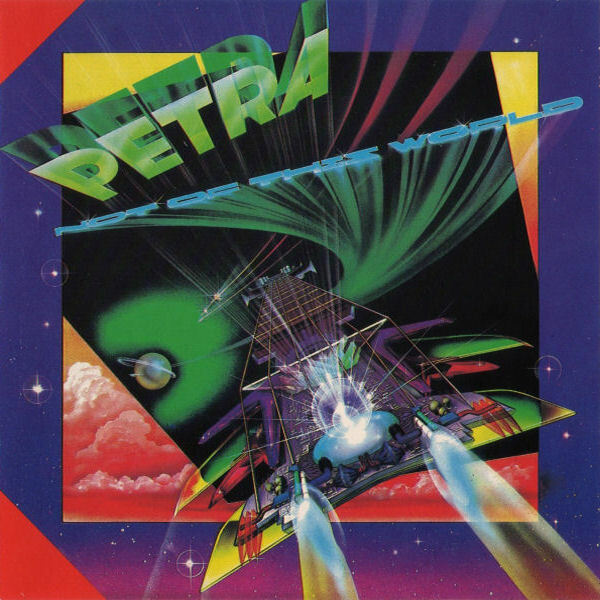 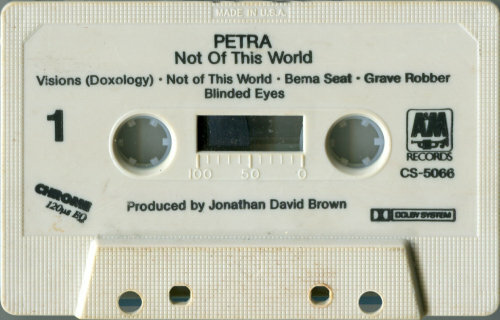 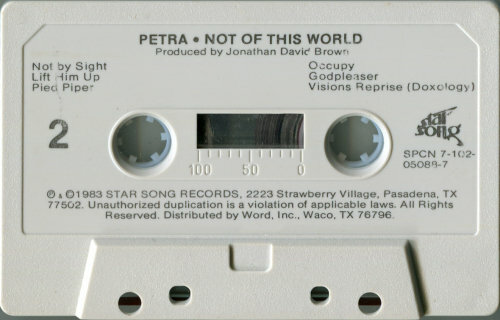 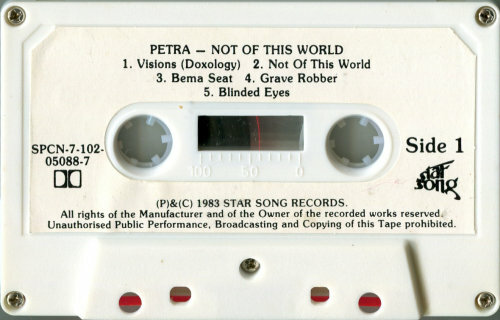 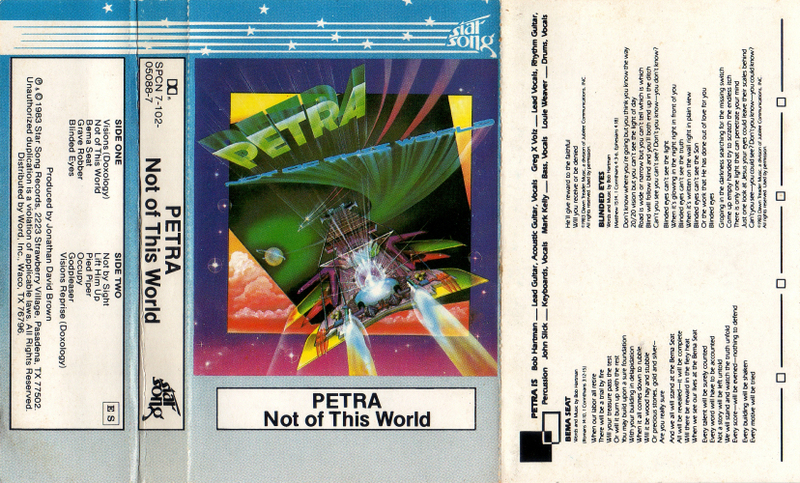 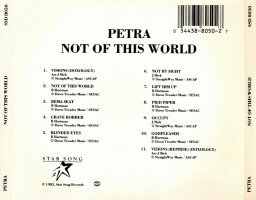 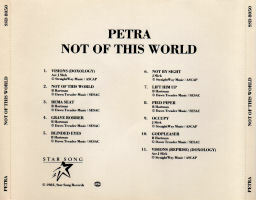 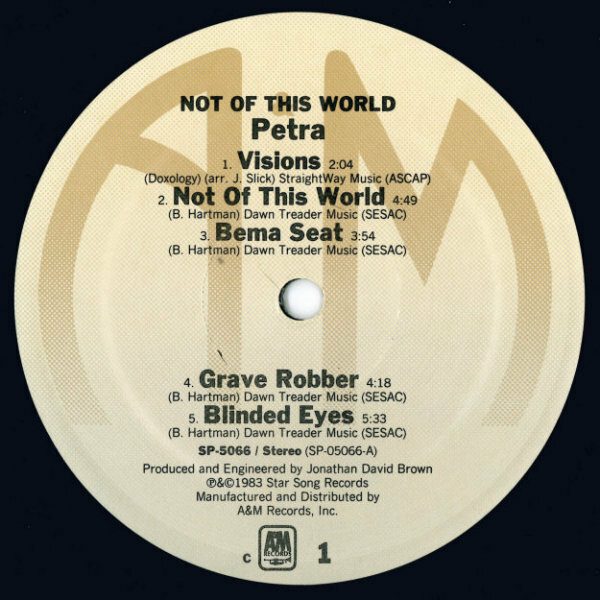 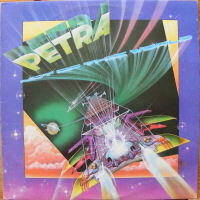 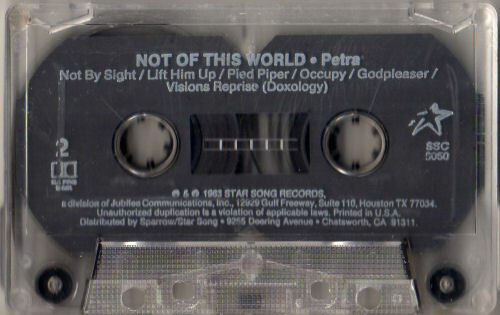 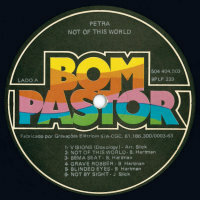 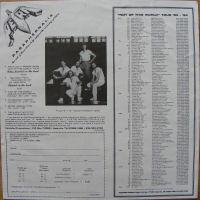 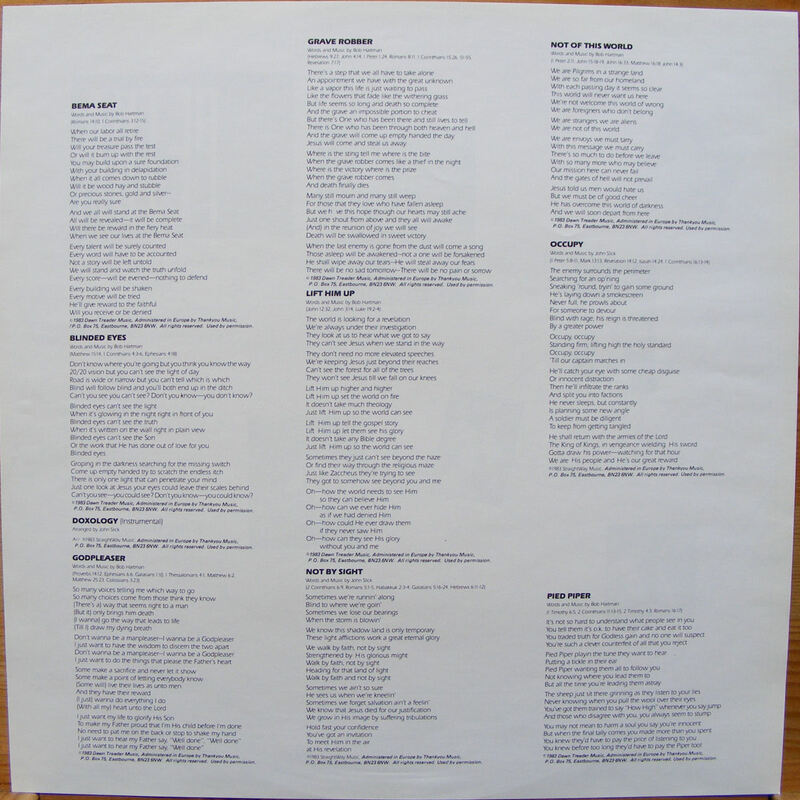 Box 118, Hollywood, CA 90028 | Manufactured and distributed by A&M Records, Inc. | Sleeve: Printed in U.S.A.
(p) & © 1983 Star Song Records, 2223 Strawberry Village, Pasadena, TX 77502 | Sparrow/Star Song Distribution, 9255 Deering Avenue, Chatsworth, CA 91311 | Printed in U.S.A.
(p) & © 1983 Star Song Records, a division of Jubilee Communications, Inc., 12929 Gulf Freeway Suite 201, Houston, TX 77034 | Sparrow/Star Song Distribution, 9255 Deering Avenue, Chatsworth, CA 91311 | Printed in U.S.A.
(p) © 1983 Star Song Records | Manufactured and distributed by A&M Records, Inc. | Printed in the U.S.A.
White shell | This tape has been recorded with the Dolby B-type noise reduction characteristic. 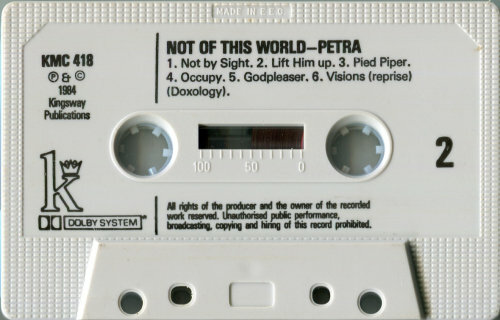 During playback, set Dolby NR switch ON. 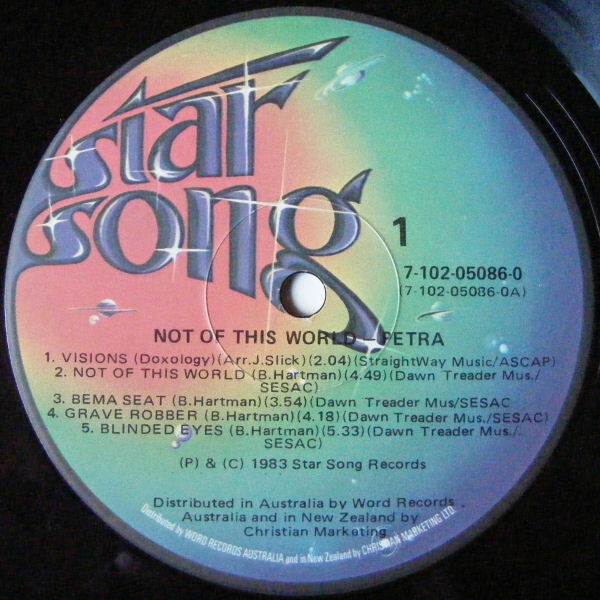 Without Dolby NR, adjust treble control if necessary. 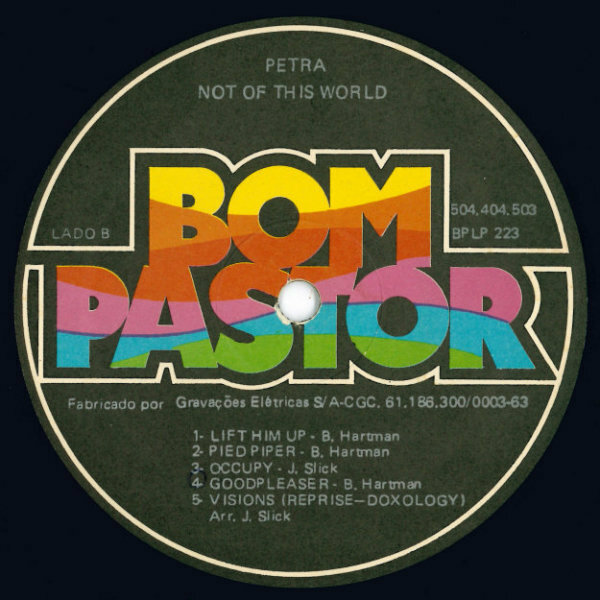 This is the first CD pressing, made by Disctec between July 1986 and September 1987. It was manufactured in the UK, but intended for retail distribution in the US. 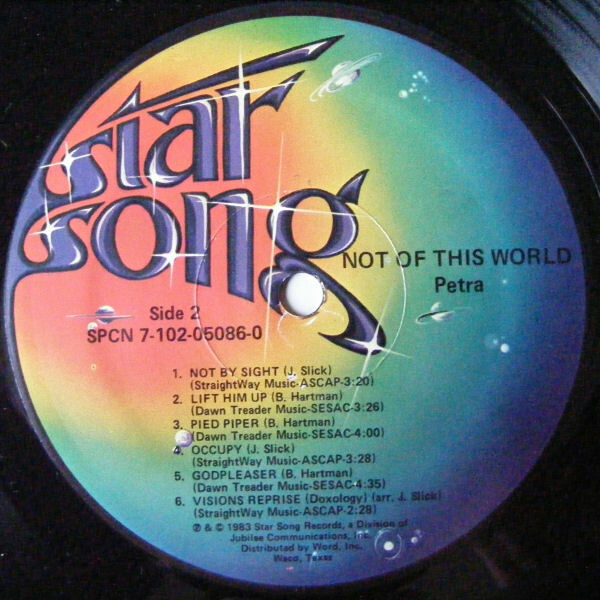 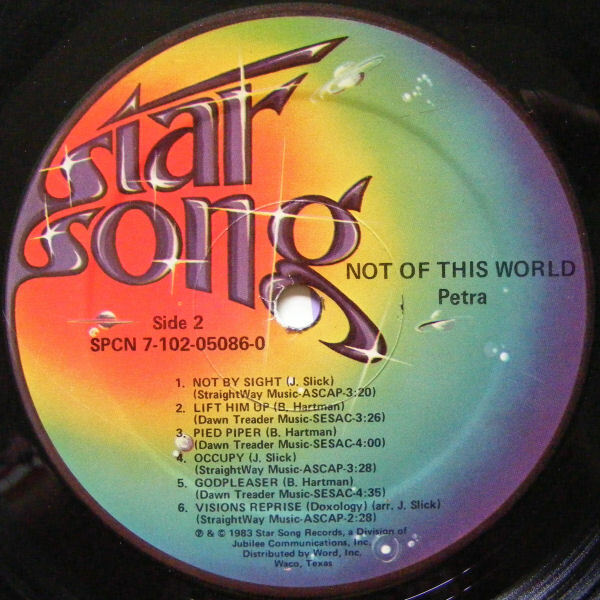 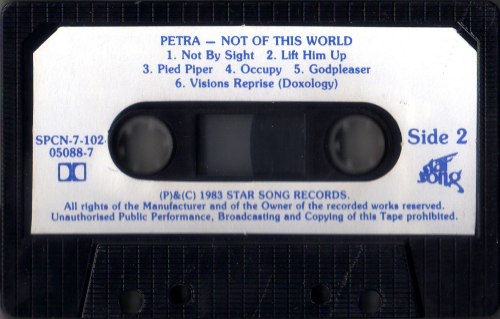 Disc: © 1983 Star Song Records, A Division of Jubilee Communications, Inc. | Sparrow/Star Song Distribution | Manufactured in the U.S.A. 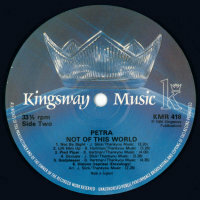 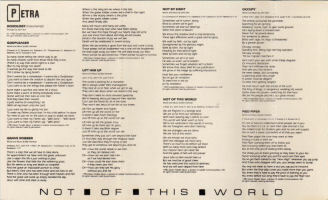 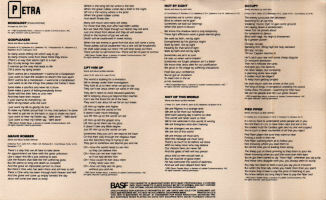 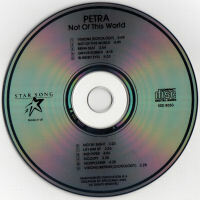 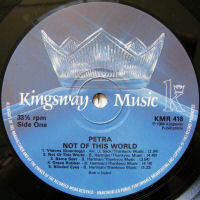 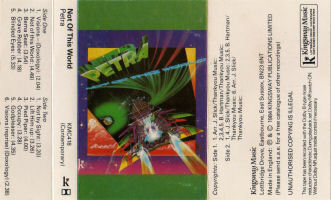 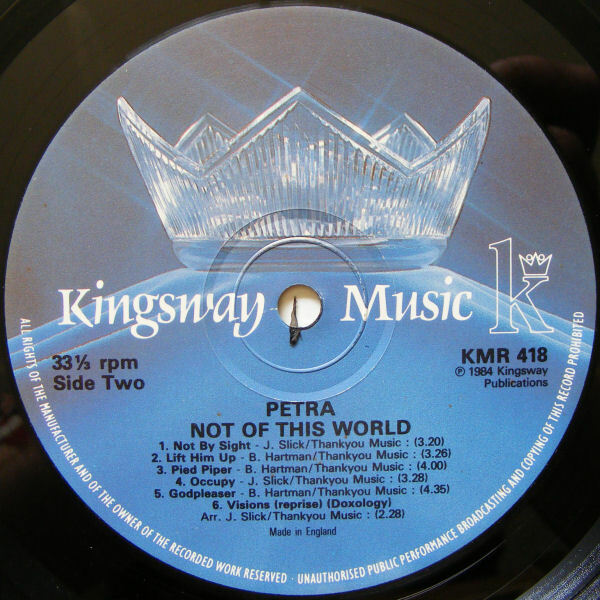 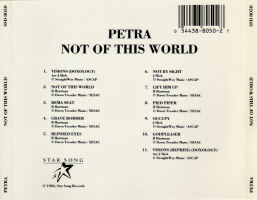 This is the second CD pressing, made by Discovery Systems between late 1986 and 1988. 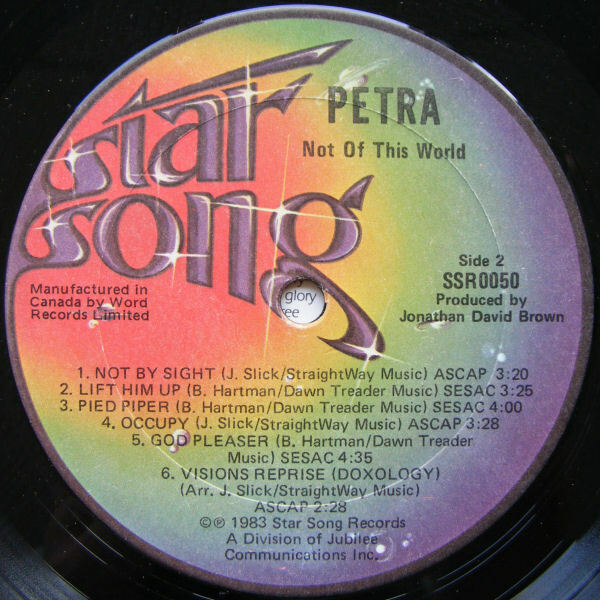 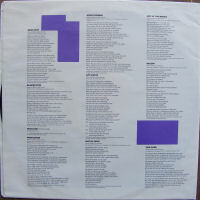 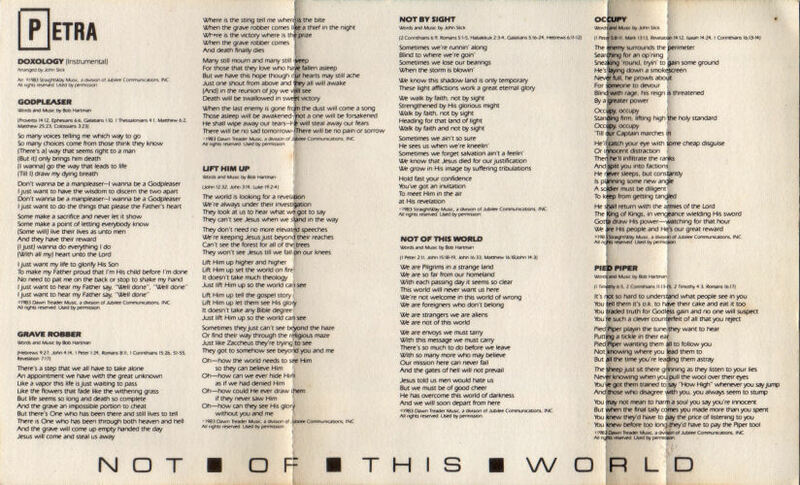 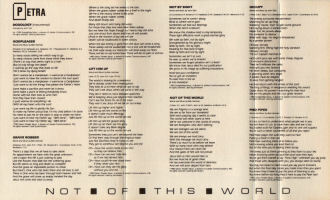 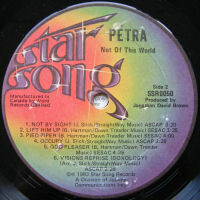 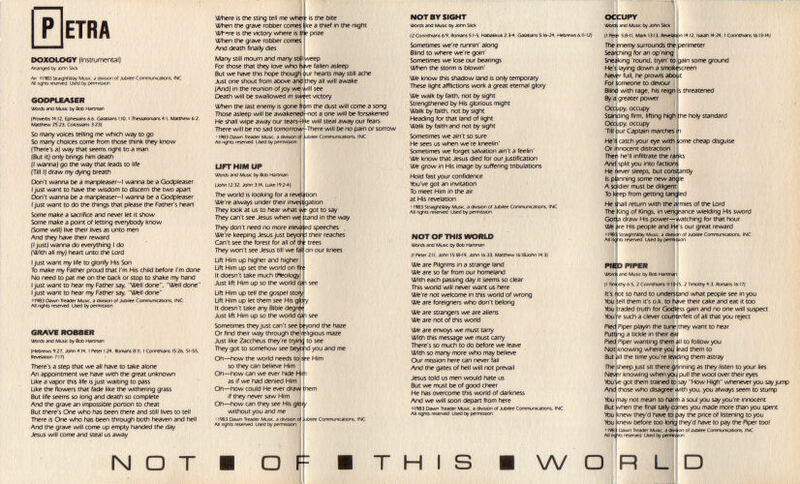 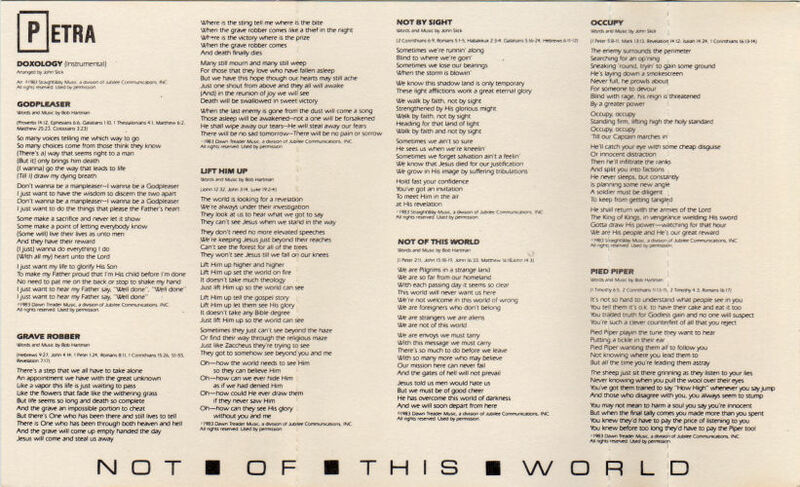 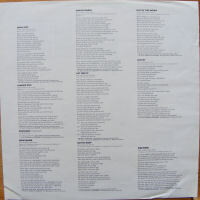 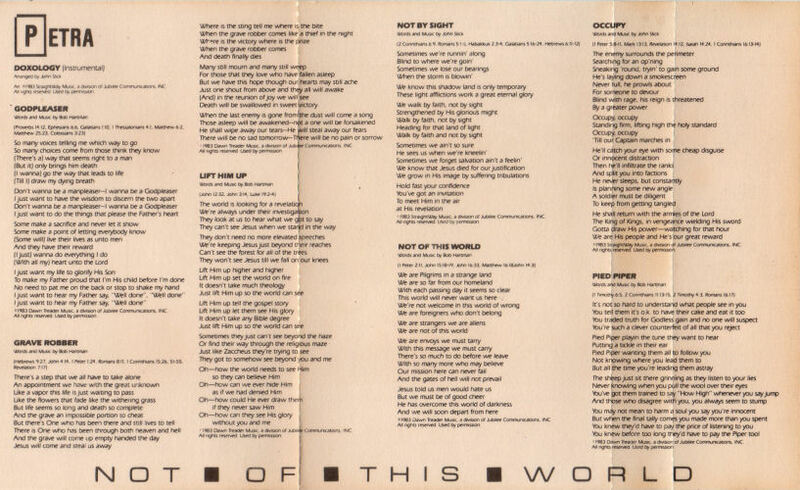 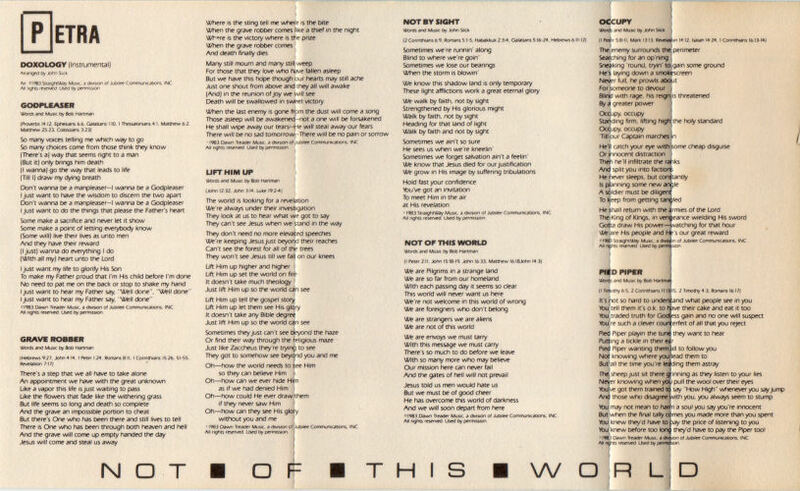 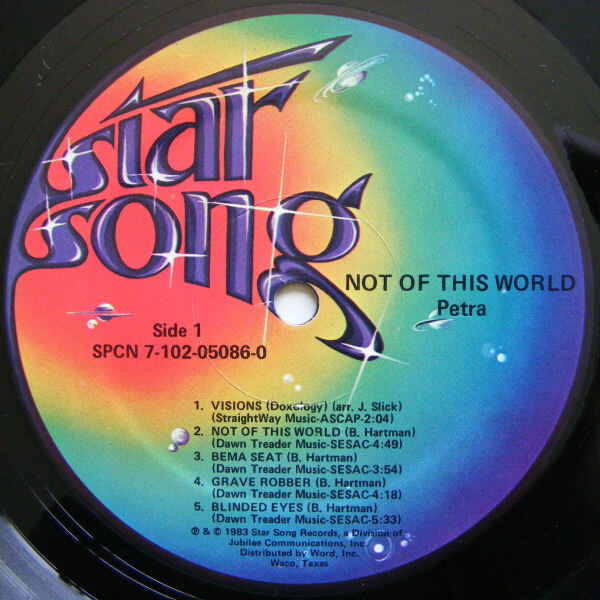 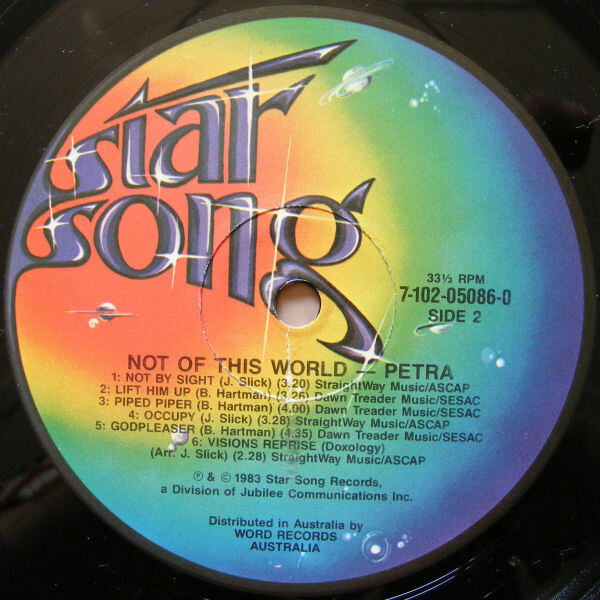 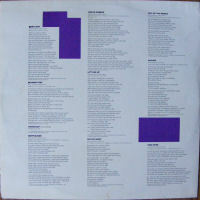 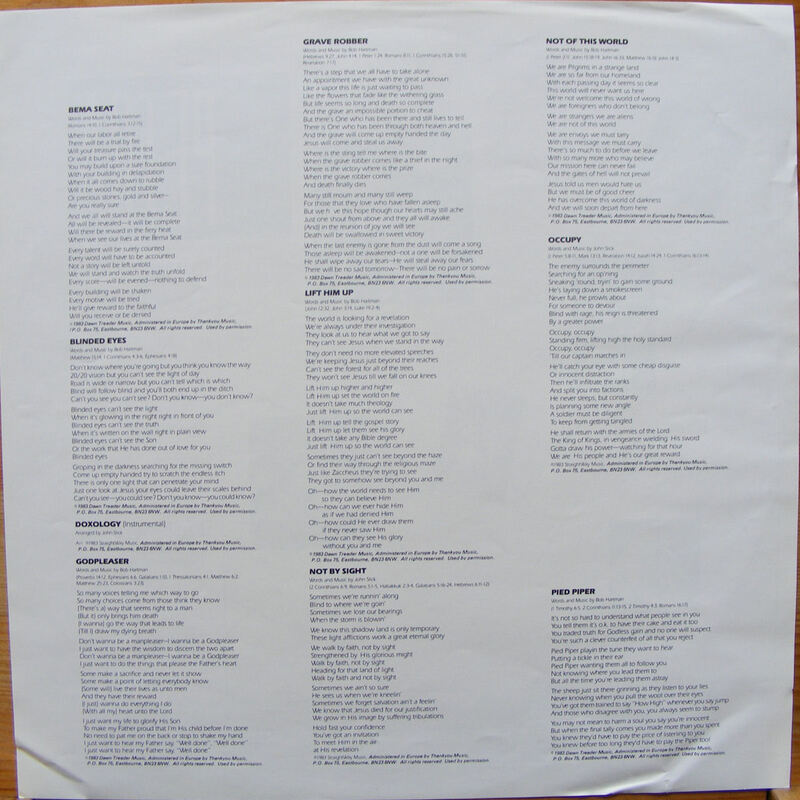 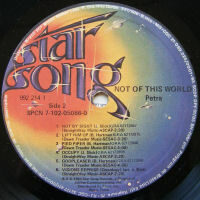 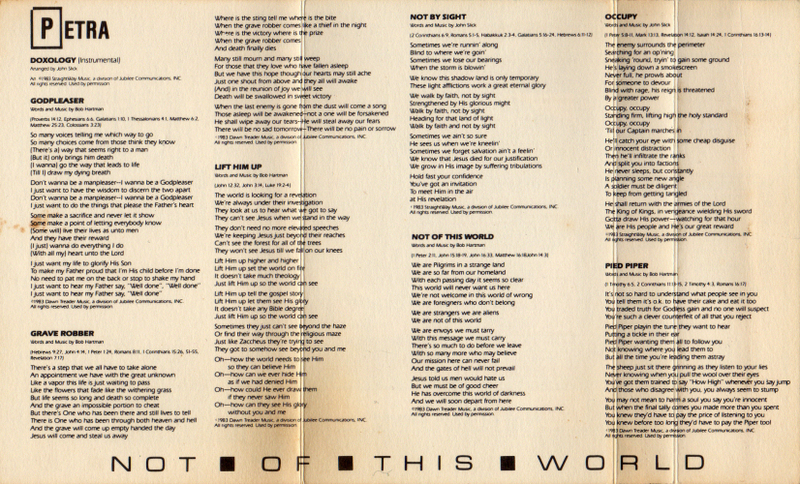 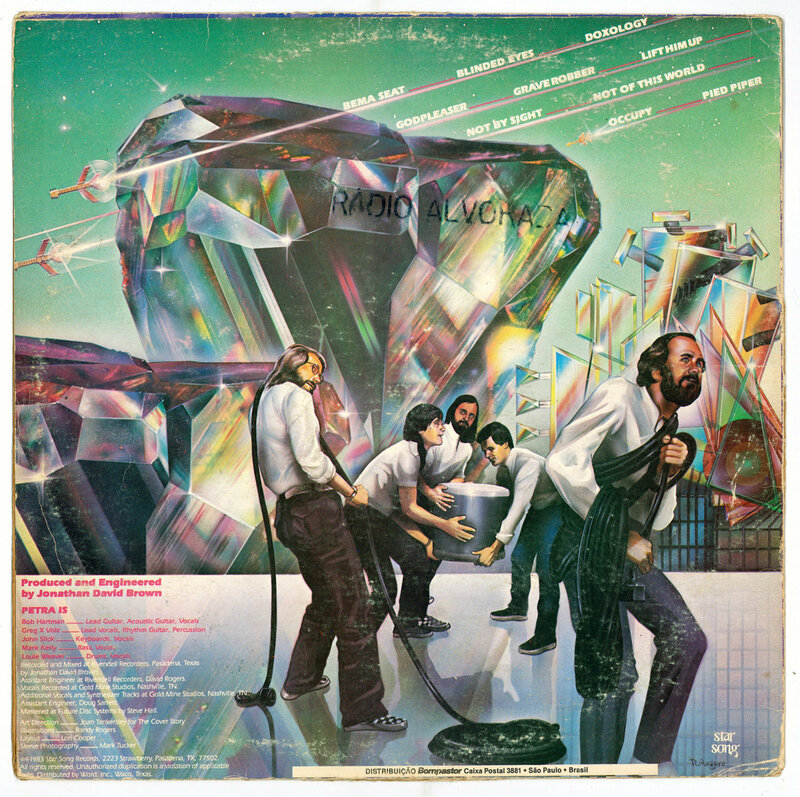 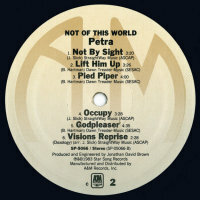 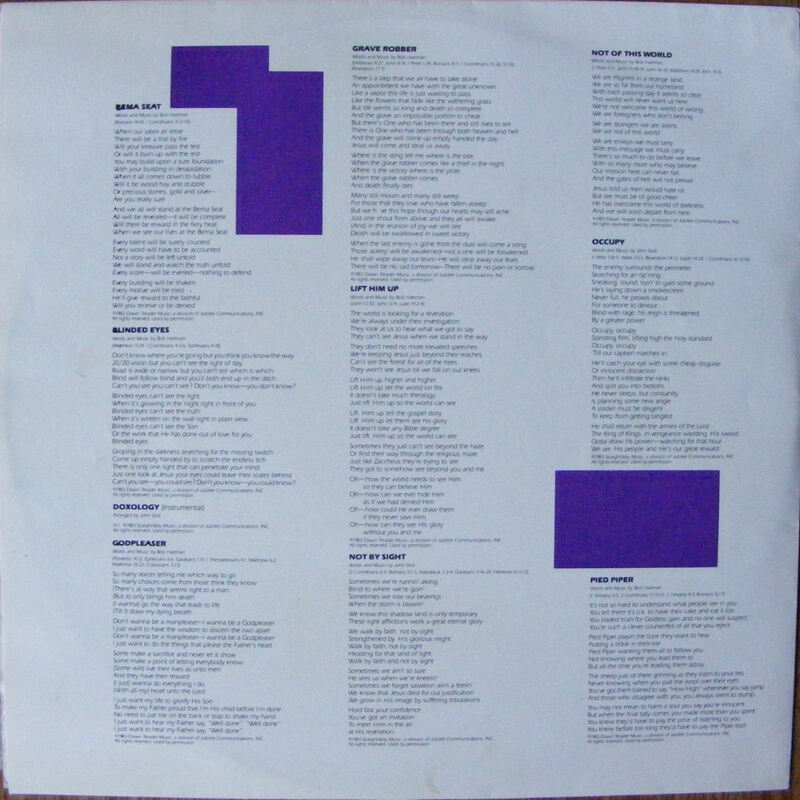 Disc: © 1983 Star Song Records, A Division of Jubilee Communications, Inc. | Manufactured in the U.S.A. 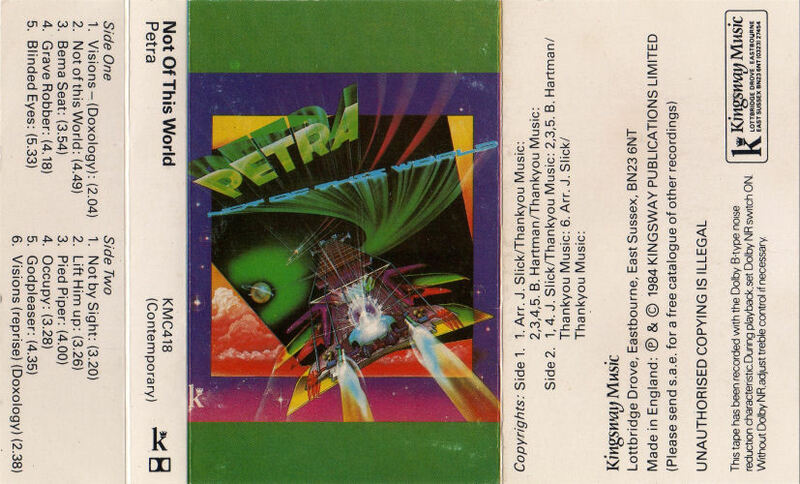 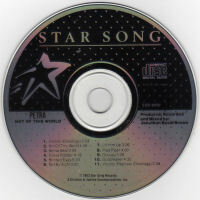 This is a later CD pressing, made by Nimbus between 1988/89 and 1994. 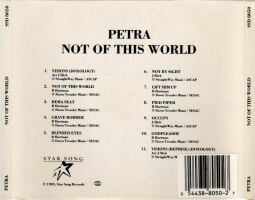 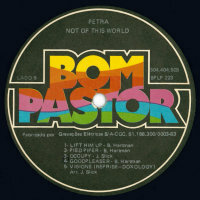 This is a later CD pressing, made by EMI Jax after 1994. 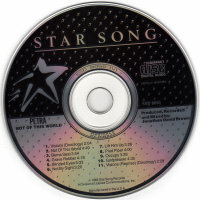 CD | USA | Star Song SSD 8050 | B: 0 54438-8050-2 7 | D: none | P: EMI Mfg. | : ? Mastering SID: ? 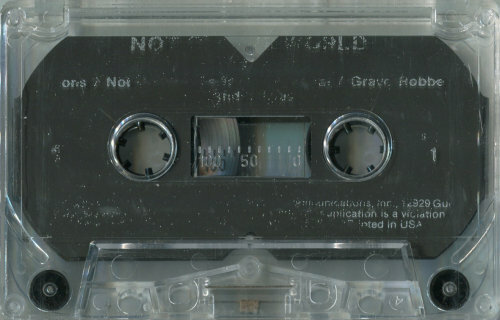 | Mould SID: ? 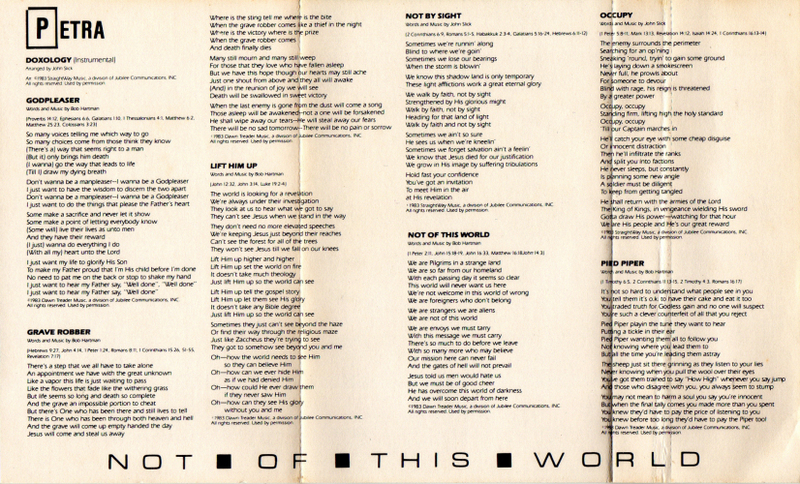 | Matrix: MASTERED BY EMI MFG. 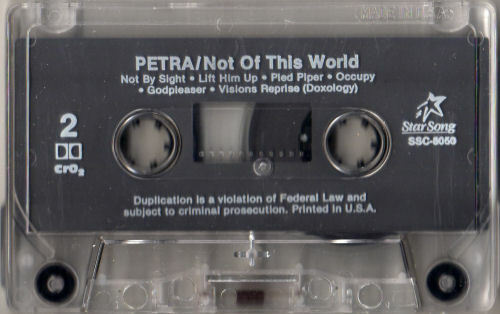 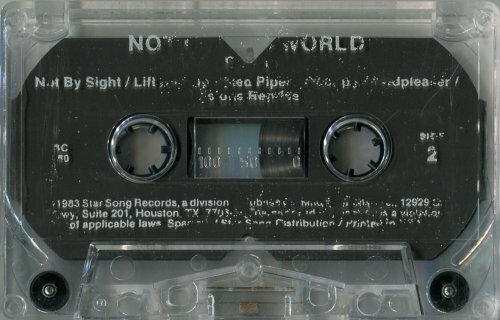 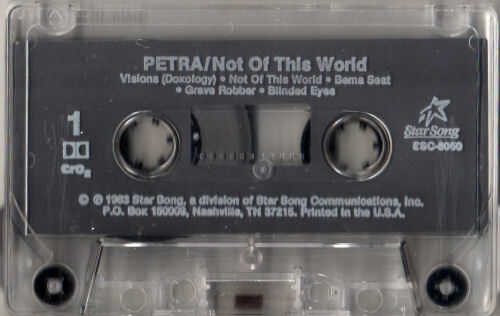 This version was glass mastered at EMI MFG after 1994. 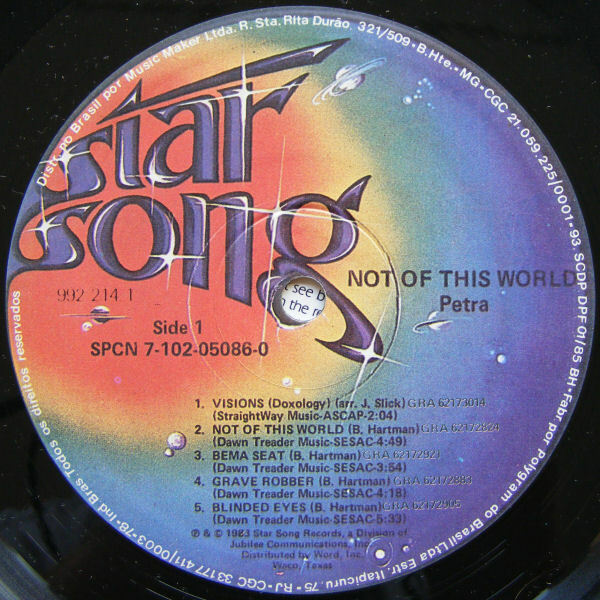 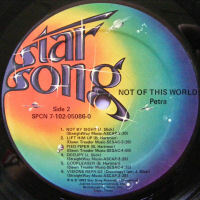 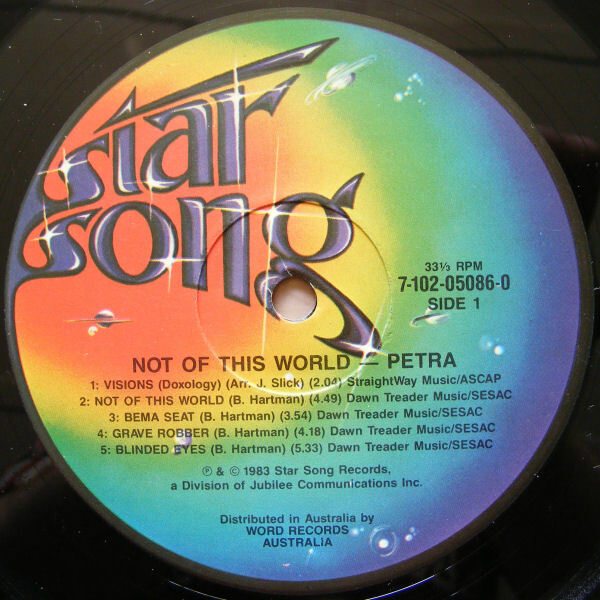 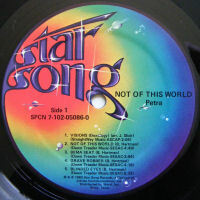 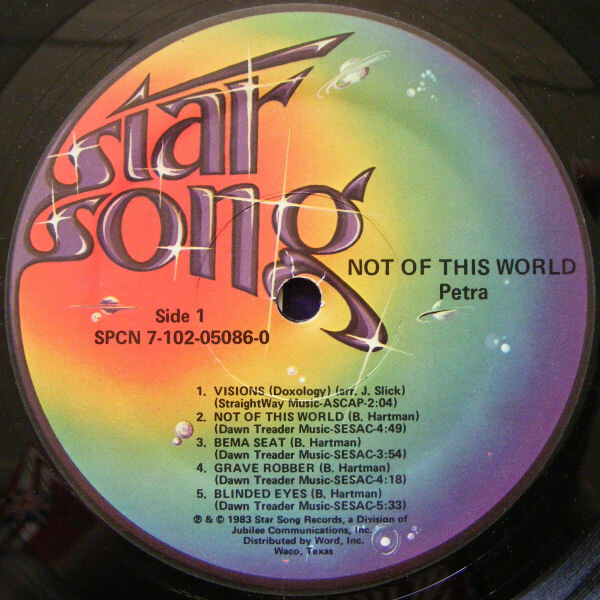 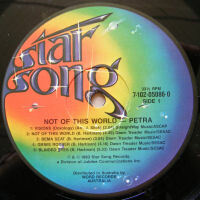 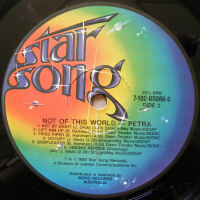 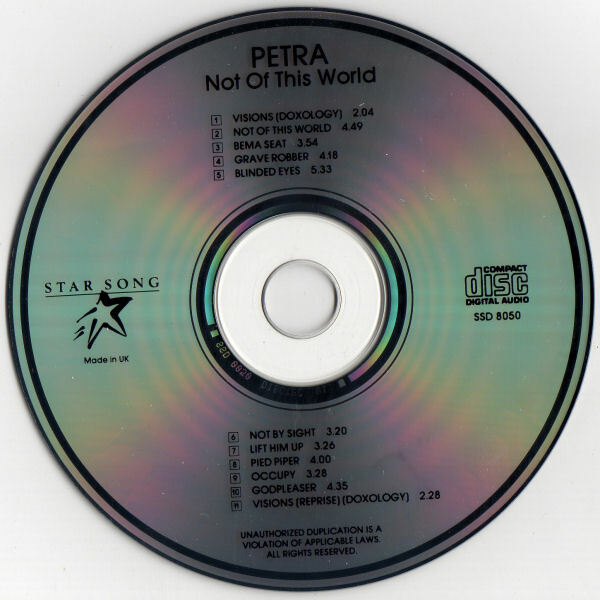 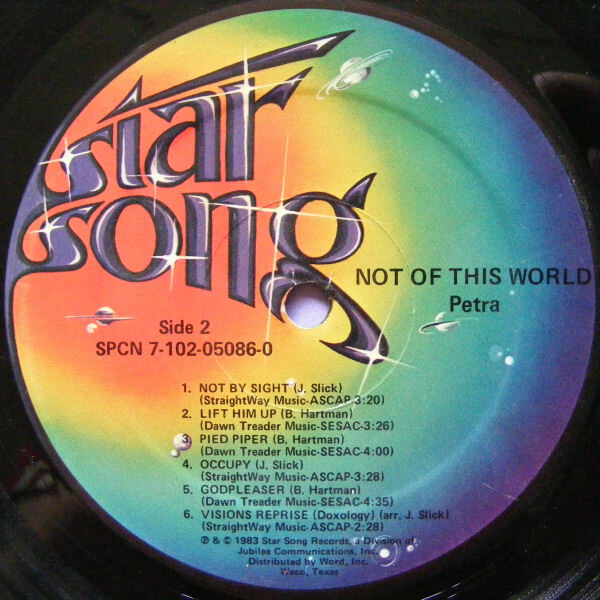 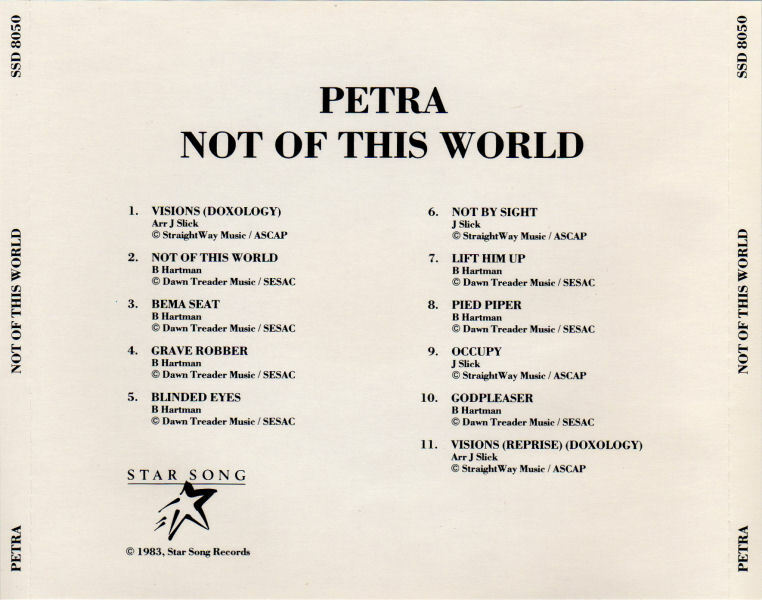 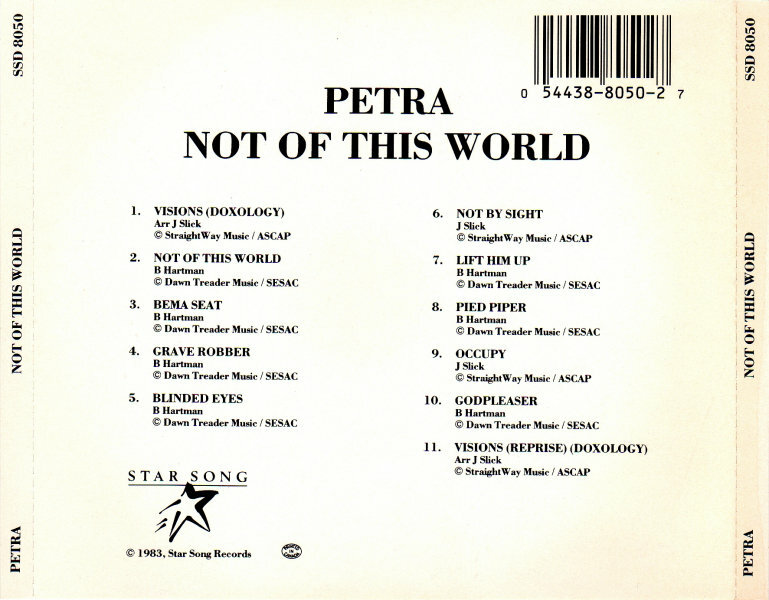 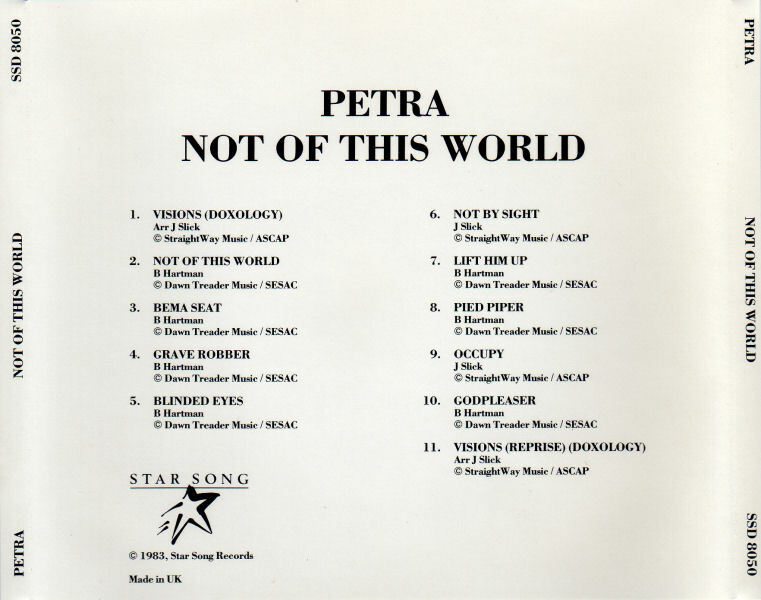 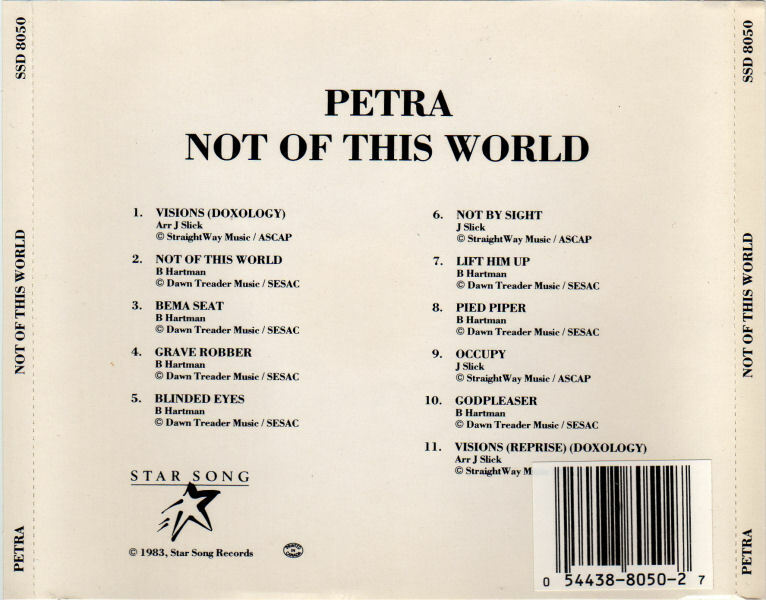 CD | Australia | Star Song SSD 8050 | B: 0 54438-8050-2 7 | D: none | P: D.A.T.A. 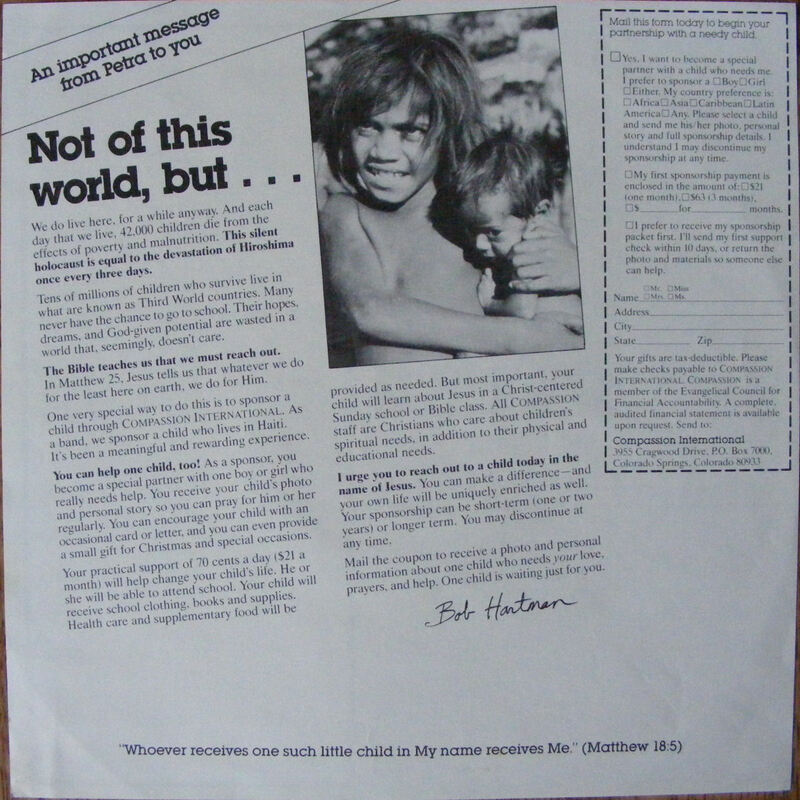 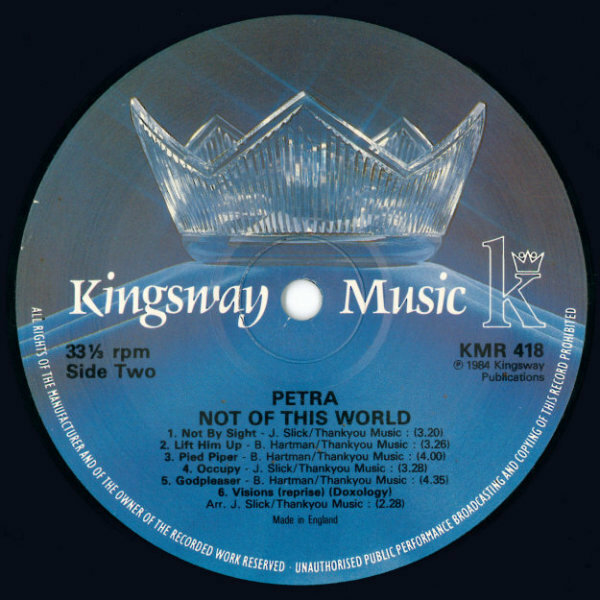 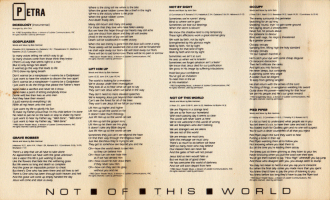 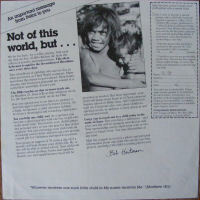 Disc: © 1983 Star Song Records, A Division of Jubilee Communications, Inc. This is an Australian CD pressing, made by Digital Audio Technologies Australia between 1994 and 2004.